Senior Vice President of Product Strategy, Gib oversees the strategic vision and execution of Infutor’s products and services. 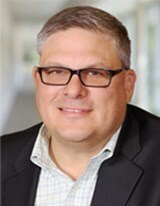 A 20-year veteran of the Information Services, SaaS, and Analytics industries, Gib brings significant expertise in building and launching new products into new markets, software development, monetizing structured data, machine learning, data modeling and scoring, and agile methodologies. Previously, Gib served as Vice President of Product for SIM Partners, a River Cities and Jump Capital-backed location data management company. Prior to SIM Partners, Gib was the founder and CEO of the award-winning, Wavetable Labs-funded startup, Local Viewpoints (now part of PowerReviews). Previously, Gib served as the Vice President of Product and Market Development for Localeze, a Targusinfo company purchased by Neustar in 2011. Gib also participates in select angel investing as a member of Hyde Park Angels.